HSP Financial Planning Ltd are pleased to announce the two charities we have chosen to support in 2019 are below. 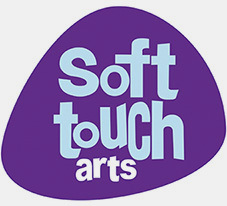 An award-winning Leicestershire charity, established in 1986, they use arts, media and music activities to make positive life changes for disadvantaged young people by supporting them to develop creative, social and employability skills. For young people who lack opportunities or have challenges in their lives it can be hard to look forward to a positive future. Their projects help them get back on track when they have gone wrong, build the confidence and resilience to change negative or risky behaviours, and progress to lead more fulfilling lives. Different agencies refer young people to their projects and their work responds to and tackles local and national issues such as anti-social behaviour and unhealthy lifestyles. They believe creativity gives young people more positive choices in their lives and we fully agree with their view. To find out more about this amazing charity please visit and view their website. The Bridge began their mission to the disadvantaged in 2009 when a group of local Christians started providing an outreach ‘Soup Run’ service to homeless people in Leicester. Today their volunteers come from many backgrounds and faiths; and accept those from all faiths and none. They have a common goal­ to help those who are on the street to move from despair to hope. Since 2009, they have grown to now deliver various specialist services, alongside an expanded hot food service. The Bridge Leicester’s long-term strategic aim is to work with their partners to develop The Bridge Homelessness to Hope into a ‘hub’ centre where local agencies can deliver their services in an accessible, welcoming and non-judgmental environment. 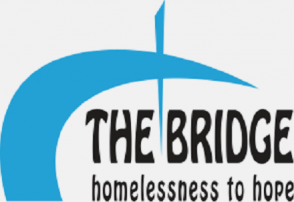 The Bridge – Homelessness to Hope is an outreach to the lost and lonely of Leicester, to the homeless and to those who just have nowhere to go and no one to turn to. We will shortly release a list of events and activities that we will carry out through the year and any support or assistance will be welcome. Our aim is to have a positive impact within Leicestershire and give back to those who require additional support. Sadly, with so many worthy causes it was not possible for us to support everyone we would like to have helped but for those who didn’t get selected in 2019 will be part of our review in 2020. If you have any queries or would like to help or get involved with either of the above please let us know.